Waycraft Industries is holding a fundraiser at VFW Post 8999 on Saturday, March 23 at 6 pm. 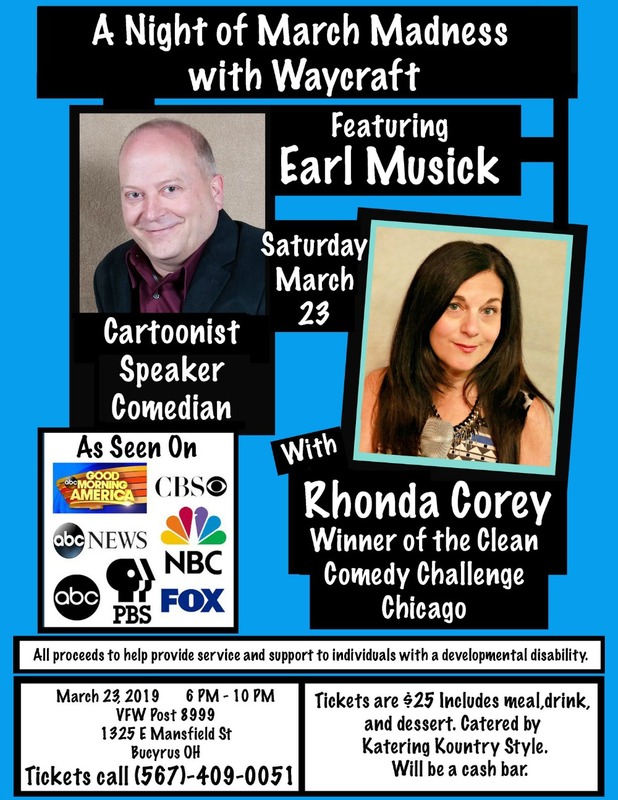 The evening will include Earl Musick, renowned cartoonist, speaker, & comedian; and Rhonda Corey, winner of the Chicago Clean Comedy Challenge. Tickets are $25 and include dinner catered by Katering Kountry Style. A cash bar will be available. Call 567-409-0051 for tickets. Proceeds help provide service and support to individuals with developmental disabilities.